Harim and Jeju Olle is collaborating to invite visitors to delicious lunch and dinner tables in the Pop-up restaurant. 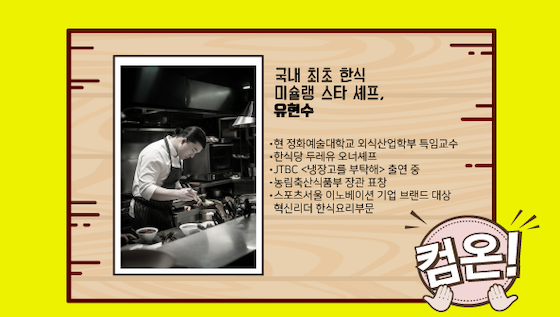 They have invited, the first to win a Michelin Star in Korean cuisine, Chef Yoo Hyun-soo to the Pop-up event. He is also active in the Korean cooking TV program 'Take Care of the Refrigerator'. 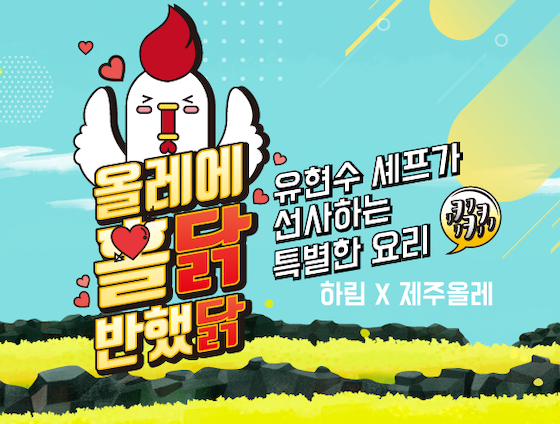 You can taste cheif Yoo's dishes in the Pop-up restaurant which are cooked by using Harim's fresh chicken and Jeju's special ingredients. At February 2nd (SAT) lunch time, the restaurant offers a special lunch that is cooked by the chef and also provides a children's menu (chicken breast fried rice) for family guests with children. On February 1st to 2nd, the dinner will be featured with a delicious Pocha (Korean cart bar) style menu, a Dj party, and a 'Lucky Draw' event for a variety of prizes.